CES 2017 kicks off today in Las Vegas and we simply cannot wait to see what exciting gadgets the different companies have in store for us. 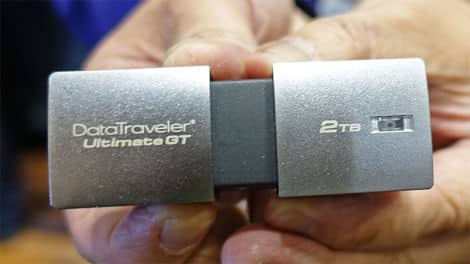 Kingston for example decided to make a major announcement a day earlier when the company announced the new DataTraveler Ultimate GT which is the world’s first 2TB USB flash drive. The sleek looking device sports a flashy design with a zinc-alloy metal casing, which the company claims improves shock resistance. The drive has the capacity to store 70 hours of 4K video content. Along with a 2TB model, the DataTraveler Ultimate GT also comes in a 1TB capacity. 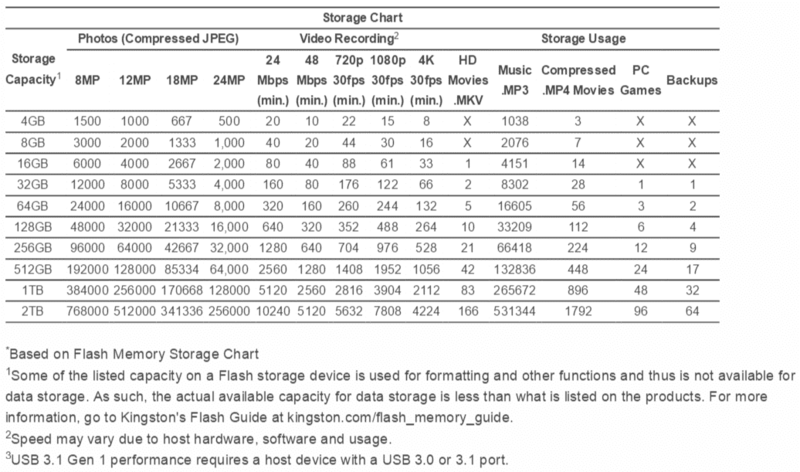 The flash drive is about 2-¾-in (72mm) x 1 1/16-in (26.94mm) x ¾-in (21mm) in size. The thumb drives come with a five-year warranty and is compatible with Windows 7 (SP1) and higher, Mac OS v.10.9.x+, Linux v.2.6.x+, and Chrome OS. Both the devices would start selling from next month. As far as pricing is concerned the 2TB variant is expected to retail between $800-$900 when it hits the shelves next month. Samsung Galaxy Note 4 LTE available for just $470 on eBay – Get it Now! !